Quick tip of the day! So you just worked on your masterpiece of a photo. You skipped several meals, zoomed to 900% correcting the finest of details. You even had your spouse come in and verify the photo looks great. You share it to your 10 Million instagram follows, oh the embarrassment when the colors are all off. You wanna cry...but don't! We can fix it in under a minute for free! Today, I show you a quick method on calibrating your apple computer screen in 7 easy-to-follow steps. Step 6 - Follow Calibration Wizard and Name your calibration (something epic). 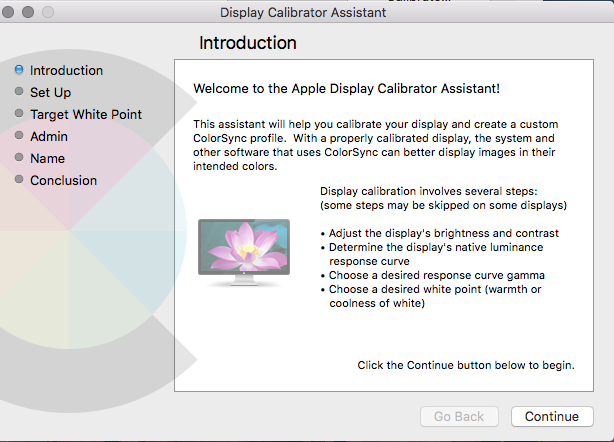 I hope you enjoy these 7 tips to calibrating your apple, iMac, or Macbook display. Feel free to subscribe for the latest in blog posts of tips, tricks, and cool stories. All Logos Belong to their Respective Owners.